WSBE Rhode Island PBS is proud to encore this beloved and fascinating glimpse into solitude and survival on Wednesday, March 9, 2016 at 7:30 p.m., followed by NATURE: The Best of Birds at 9 PM. Alone in the Wilderness, produced by Bob Swerer, uses color footage that Proenneke himself recorded to share with his family back home in Iowa. Filmed mostly with a stationary 16mm camera, the film consists of shots of Proenneke performing tasks around his cabin, canoeing, walking, plus views of wildlife, along with narration. 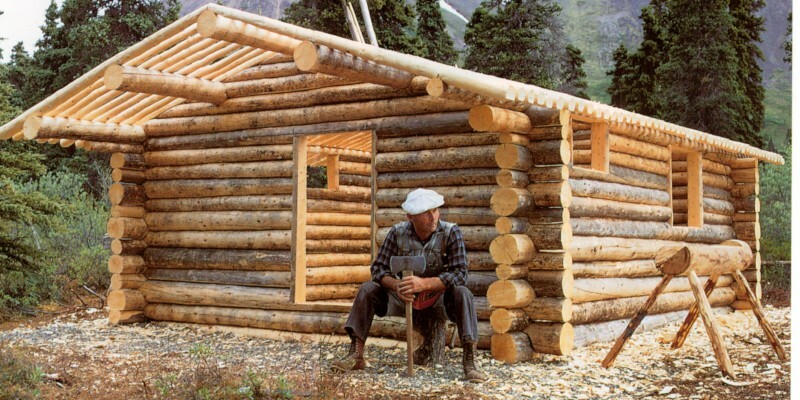 For shots of himself, Proenneke would fix the camera in place, and then perform his tasks. Since he was alone, he would have to return for the camera after walking or canoeing away. Viewers will have to keep reminding themselves that Proenneke was alone when he filmed, and will gain insight into the planning it must have taken to set up and pull off the effects. Nature’s special presentation of Best of Birds is a compilation of the most compelling, emotional and even humorous stories about bird intelligence, behavior, relationships and flight drawn from the series’ extensive archives. Nature’s executive producer Fred Kaufman, Best of Birds presents excerpts from 16 notable programs, including scenes from the Emmy-award-winning films, “My Life as a Turkey,” “An Original DUCKumentary,” and many more. Have Some Time to Spare?